St. Patrick’s Day weekend usually gives itself to a lot of road races here in the U.S., but we found plenty of trail action too–stateside and abroad. Let’s look at the Chuckanut 50k in Washington state, and France’s Trail Du Ventoux and EcoTrail Paris trail races, and the Pierra Menta ski-mountaineering competitions in France also. Top o’ the mornin’, friends! 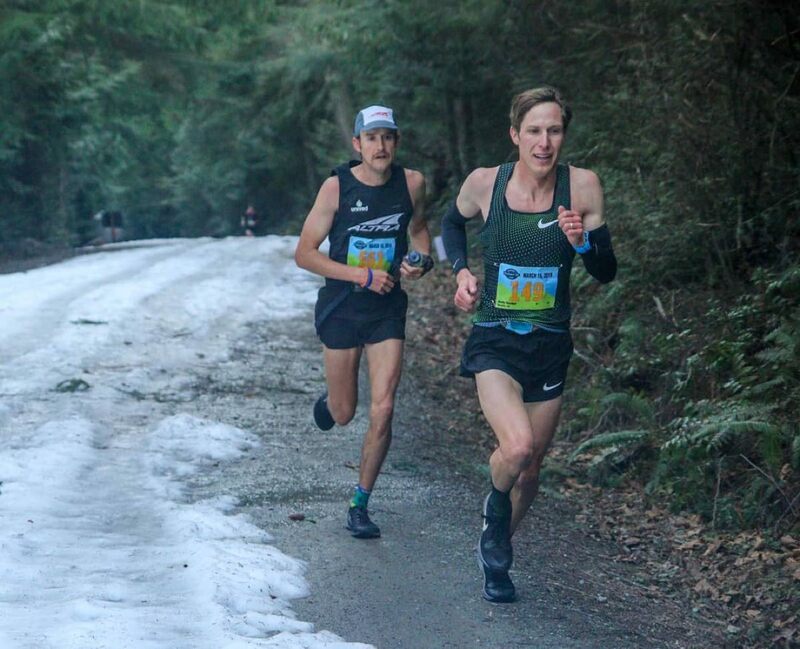 Second two years ago, Hayden Hawks came back to the Chuckanut 50k for a bit of redemption, both against this course and to shake off a recent DNF monkey. He got just that, winning in 3:37. It was the fifth-fastest finish ever here in 27 years of racing, despite snow and ice in addition to Chuckanut’s usual mud. Tyler Sigl had closed to within 90 seconds of Hawks near mile 18, but lost ground the rest of the way and finished second in 3:45. 2:13 marathoner Rob Watson (Canada) was similarly in the mix early, but ultimately finished third in 4:03. It was Watson’s ultra debut. Andrew Russell (Canada)and Olin Berger were fourth and fifth, both in 4:05. After running side-by-side with Hawks early and through the race’s technical stretches, Andy Wacker dropped citing low energy. Kathryn Drew (Canada) edged Kim Magnus (Canada) to win the women’s crown in 4:26, locking up the win in the final 10k on the fast Interurban Trail. Magnus followed the race winner three minutes later, and Emily Hawgood (Zimbabwe) was third in 4:38. Fourth-place Allison Thompson (Canada) ran 4:39, and fifth-place Sarah Bard ran 4:41. Ultra debutante Ashley Brasovan led early, but dropped at the race’s second aid station and called out leg pain. The Trail Du Ventoux 46k is a longstanding, early season barnburner in France. 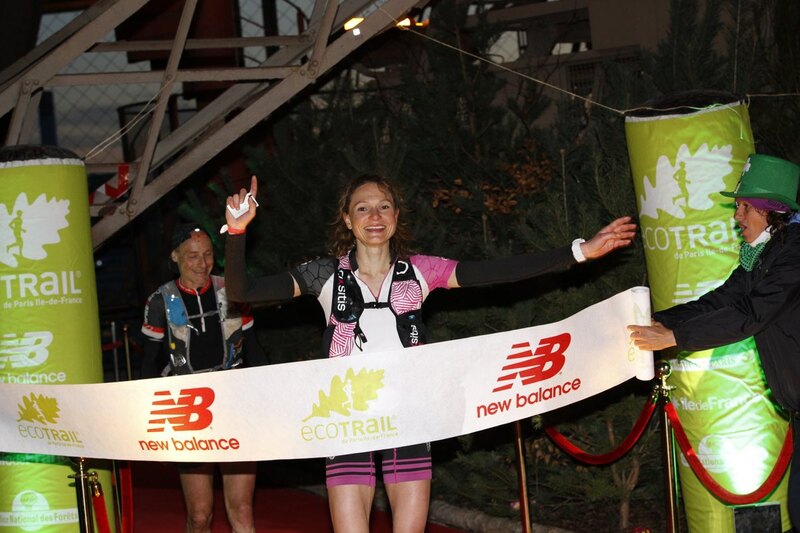 New this year, the Golden Trail Series has four groups of national-series contests in addition to its world series, and this was the first race in the French national Golden Trail Series. Defending-champion Marc Lauenstein (Switzerland) won in 3:39, two seconds better than Thibaut Garrivier (France), and nine minutes better than his own previous course best. It was Lauenstein’s third time winning here. Nicolas Martin (France) was third, also in 3:39, and only 24 seconds behind Lauenstein. That had to have made for an exciting finish. Rachel Drake (USA), second at the FOURmidable 50k earlier this year, won the women’s race in 4:28. This one was close too, as Drake was followed by second-place Blandine L’hirondel (France) 40 seconds later, and Sarah Vieuille (France) was third in 4:30. 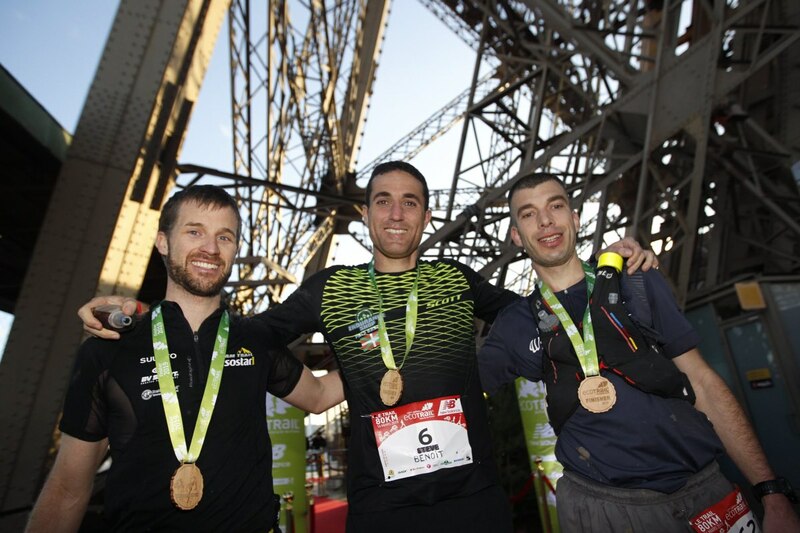 It’s the City of Lights, but there’s nature in Paris too and the EcoTrail Paris race pulls in the best of that over 80k (50 miles) with 1,500 meters (5,000 feet) of elevation gain. The race finishes on the first floor of the Eiffel Tower. The top-three men all went under six hours, led by Benoît Cori (France) in 5:46. Jonathan Parise (France) was second in 5:49, and Steve Leclerc (France) was third in 5:53. It was an all French women’s podium too with Maryline Nakache outdoing Sylvaine Cussot and Jennifer Lemoine. The trio finished in 6:54, 7:06, and 7:23, respectively. In California, Zach Bitter was going all out for 12 hours on a half-mile course at the 100 Mile Run4Kids Day charity run. He reportedly went through 50 miles in 5:37, and 24-hour results have him totaling 95 miles. Does anyone know, is that 95-mile mark really a 12-hour total? Can anyone share a link to the results? With just 10 weeks to go in qualifying for the U.S. national 24-hour team, it’s time to put up. Bob Hearn and Jon Olsen went to the Lhotse 24-hour Endurance Challenge in Oklahoma with Hearn looking to improve on his current sixth ranking (154.05 miles), and Olsen looking to get into the top six. Neither did either though. Hearn overtook Olsen 13:45 into the race and ran 123.28 miles to win the contest, and Olsen stopped early with leg pain at 92.70 miles. Jaclyn Long was the women’s winner with 82.76 miles. The IAU 24-Hour World Championships are October 26 in France. Full results. The Pistol Ultra Run is an urban run along Pistol Creek around Knoxville, Tennessee. 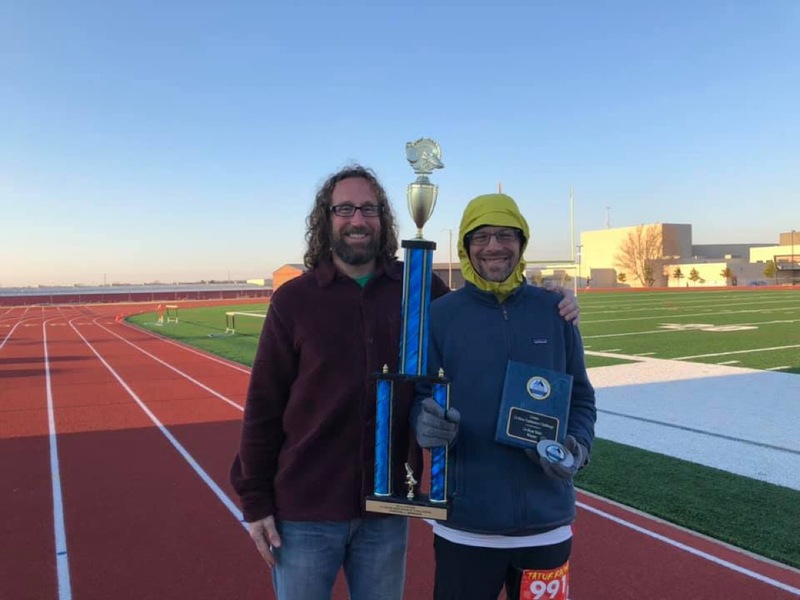 John Cash and Whitney Richman won the 100-mile distance in 15:36 and 17:25, Sho Gray and Ashley Truan won the 100k race in 8:59 and 9:29, and Ron Wireman and Amy Jones won the 50-mile contest in 7:16 and 8:35. Full results. Brett Hornig and Natalie Chirgwin won the Rogue Valley Runners Tar N Trail 6-mile race in Ashland, Oregon. The two ran 36:28 and 42:06. Full results. California’s Ruck A Chuck 50k race runs out and back on some of the same trails as the Western States 100. Tim Tollefson won the men’s race and set a new course record in 3:43, and Anna Russell edged Meghan Laws for the women’s crown and also a new course record in 5:01. Laws closed some 44 seconds later. Full results. It was St. Patrick’s Day weekend, but in northeast Ohio it was also Buzzard’s Day, and believe it or not, that’s cause for a race. 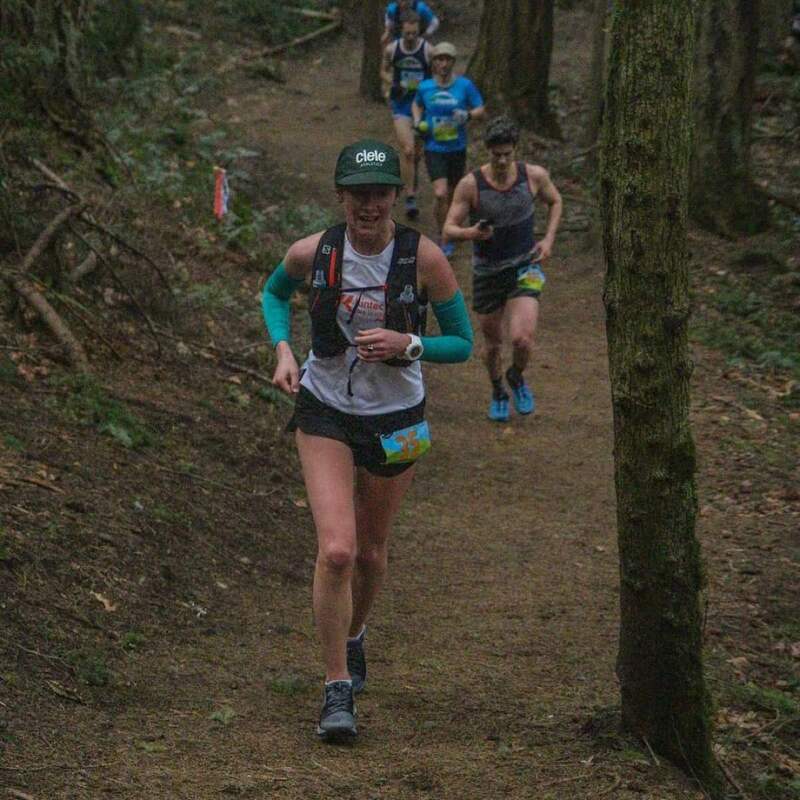 The Buzzard’s Day Trail Race had both 100k and 50k options and David Peterman and Jennifer Russo won the 100k in 11:04 and 13:54, and Travis Zipfel and Melissa Overly won the 50k in 4:33 and 5:38. Does anyone know, have the buzzards returned from their winter home? Full results. Ryan Buetzer and Robin Phelps won the Grasslands Trail Run 50 Mile race in Texas in 7:24 and 9:35, respectively. Full results. Run as a marathon on a snow-covered baseball field, the Sandlot Marathon in Minnesota requires some 384 trips around the bases, and I guess that counts as a trail race. 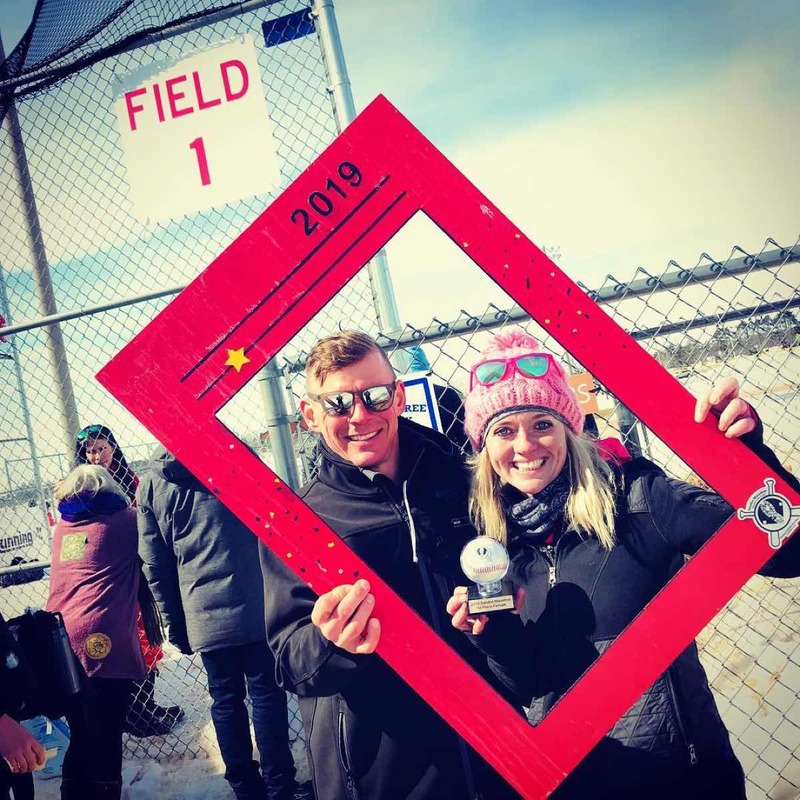 Dalton Struck and Emily Larson did the inside-the-ballpark marathon in 3:23 and 3:32, respectively. Full results. Pierra Menta is a giant four-day, two-person ski-mountaineering race in southeastern France, and this year’s contest was the 34th annual. Didier Blanc and Valentin Favre, both of France, won overall in a cumulative 11:28. François D’Haene (France), was part of the sixth-place men’s team, and immediately prior to running (and taking fifth at) Trail du Ventoux, Ludovic Pommeret was part of the seventh-place men’s team. Laetitia Roux (France) and Severine Pont Combe (Switzerland) teamed to women’s race in 14:04. Full results. They’ve been doing the Nine Trail 35 Mile Endurance Run on steep and scenic trails in Santa Barbara since 1990, but this year’s group is the fastest yet. Expect 2017 course records–Kris Brown (5:40) and Cassie Scallon (6:20)–to both come down. Like what you see, see something that doesn’t look quite right, or just want to tell us happy St. Patrick’s Day? Do it in the comments field! Care to share results from another event we didn’t cover, or provide on-site details for a race we did? Leave a comment to share. Thanks! 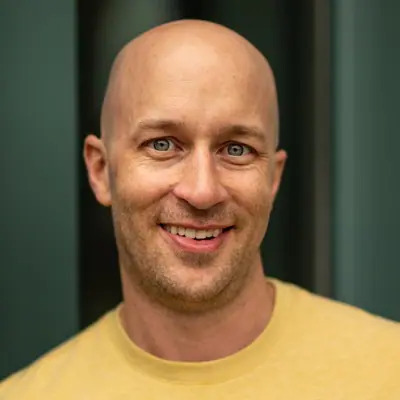 Used to read the blog Rob Watson had looong ago. 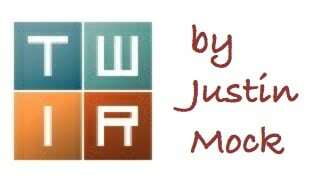 It was high comedy / one of the funnest blogs going on the internets for some time. Wow, that Sandlot Marathon sounds absolutely miserable. The Lhotse 24 hour endurance challenge?!?! What could that be?!?! Looks like it is a ….. 24 track race in Oklahoma. Womp. There were a few fast trail runners at the Shamrock half marathon in Portland Sunday. Sage Canaday and Tyler Green among probably many other notable male and female runners that I don’t know! Seemed to be the weekend for trail runners to run half marathons. Devin Yanko won both the 10K on Saturday and Half Marathon on Sunday at the Sacramento Shamrock’n Half Marathon. In the half on Sunday she beat out Lindsay Tollefson. In regards to my 12 hour at Run4Kids… I wasn’t entirely sure what to expect, as the weather forecast the days leading into the race had a high in the mid 80s and a wind advisory until 2pm on Saturday (typical ranges are 40-70 for this event local). I thought I’d put myself into position the first half while it was still relatively cool and go from there. By mid day the heat had set in and it was pretty clear I wasn’t going to be able to sustain the pace, so I scaled back, which was good for 95.5 miles total in the 12 hour span. The buzzards were sighted on March 15 in Hinckley, Ohio (as usual) according to the news. Yeah, is there a story behind the sudden interest in that race, at least among elite runners? Thanks for the update on the start list. We updated the article.